Small Business Saturday is thrilled to partner with The Duke of York's Inspiring Digital Enterprise Awards (iDEA) to deliver free, expert online training to small businesses across the UK. Many small businesses have already achieved their Bronze award - huge congratulations to them for all their hard work and dedication - and the Silver Award was launched at St James's Palace earlier this week. #SmallBiz100 James McBrearty, who has already completed both the Bronze and Silver awards, including achieving the Silver Star level for completing every optional module of the course, said "Many people worry about the time and cost of learning, iDEA helps people by both being free as well as being able to be taken on whatever device suits you – enabling you to make the best use of your time wherever you happen to be." 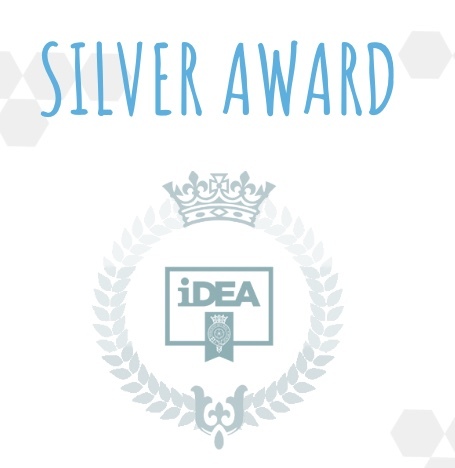 Nicola Case of Pink Spaghetti said "What a truly inspirational evening at St James's Palace for the launch of Silver iDEA. It was amazing to see how the awards are being adopted across all sectors and age groups." The evening started with an opening speech from HRH The Duke of York, who talked about the how the awards have developed into the digital badges we earn today, and a viewing of the promotional video for the new Silver Award, highlighting how it will build on the foundation of the bronze badges to develop the learning into understanding and problem solving. A panel session hosted by Maggie Philbin, CEO of TeenTech, shared the experiences of how organisations such as councils, schools and not for profits are utilising the iDEA awards to actively encourage students, volunteers and the wider community to learn new skills within technology. Small Business Saturday was represented by our Director Michelle Ovens MBE, who highlighted how the Small Business Saturday community has embraced the digital badges to enhance their own skillsets and offer a more diverse service to their clients. Three of the Small Business Saturday community who have already completed their Silver award were invited along to the evening - Rachel Gilbertson, James McBrearty and Nicola Case. Taking part in iDEA is completely free and you can work whenever you want, at a pace to suit you. Find out more and get involved here.